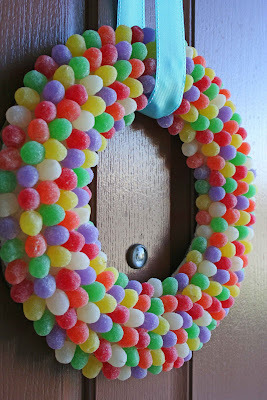 Gwynn Wasson Designs: Candy Wreaths! 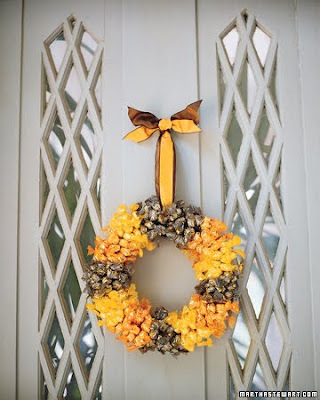 Usually I have some kind of seasonal wreath on my front door. I have several that I rotate through every year. And if I see something new and fun in the store, I add it to the rotation. 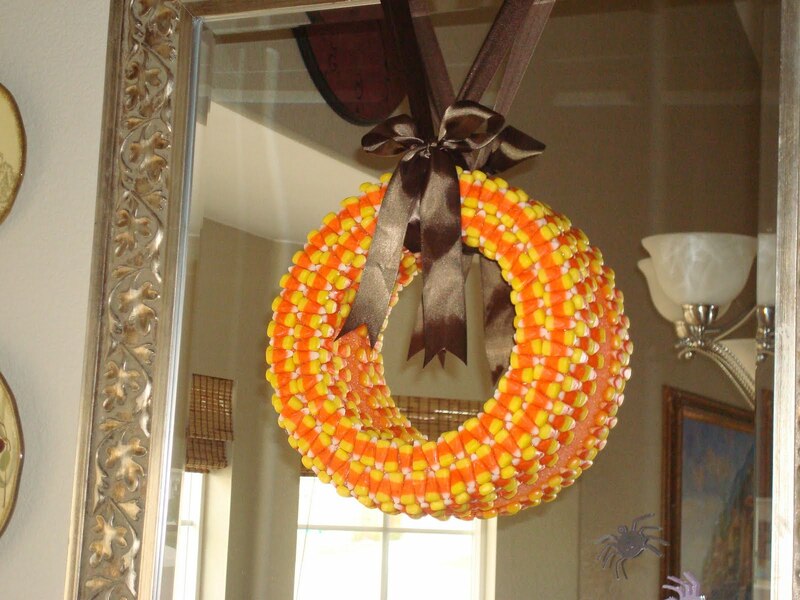 But this year I wanted to do a little something special to welcome in the Halloween season. How much fun would a candy wreath be for Halloween?! 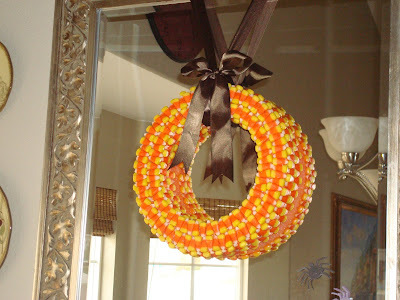 And, just as a side note, because I couldn't resist... How cute would these poms poms look with that candy corn wreath??! Yummy! They also look stylish! 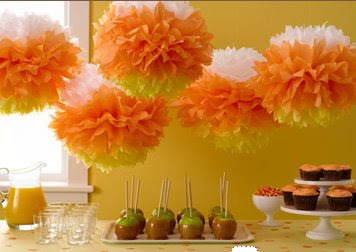 Fan of the butterscotch one!